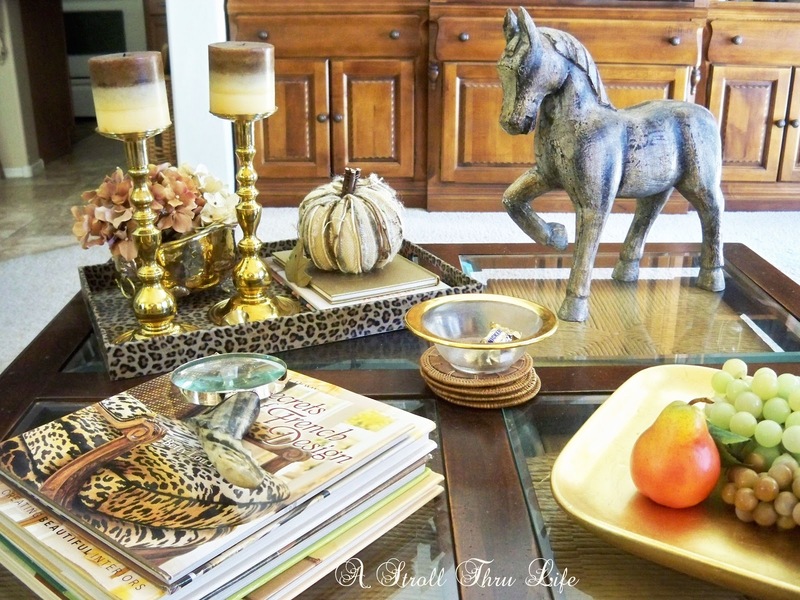 I love the look of leopard and I love how it mixes so well with everything. when I saw these leopard throws at Walmart for $8.88, so pretty, soft and cuddly, of course I had to have one. Ok, bring on the cooler temps, I am all set now. Are the temps getting cooler where you are yet? Love the leopard touches Marty! The tray is wonderful and I am looking for such pillows. Lovely! Oh Marty, you know I love leopard, and yours is beautiful. Wait till you read my continuing saga of the leopard in the sunroom this week. How cute is that throw Marty and to find it at Walmart SCORE! The room looks so cozy. 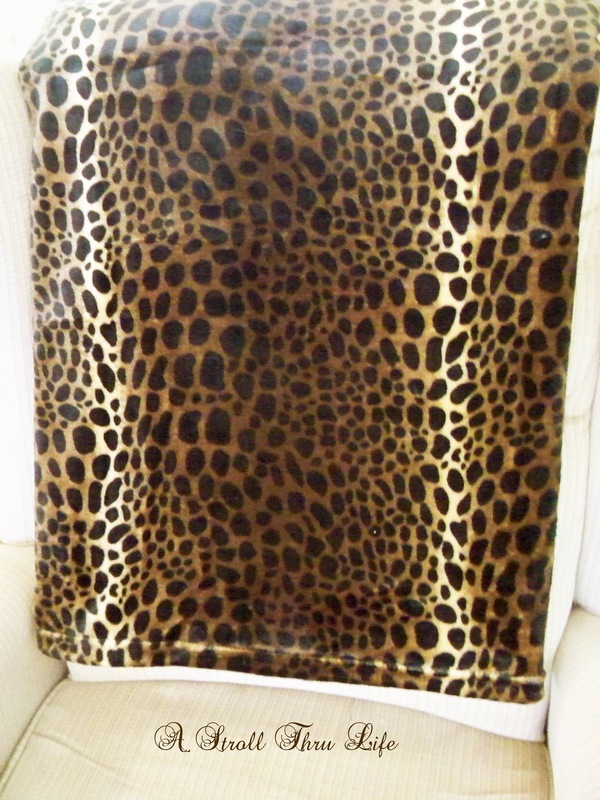 I am the biggest fan of a touch of leopard in any room - adore your throw!! At that price it was like they put it on sale just for you, Marty! It goes perfectly in this room. Marty, your house looks so warm and cozy I want to just curl up in one of your chairs and read a book. In Western NY the temps are dipping and we have a light dusting of snow. I guarantee that by Thanksgiving the snow will be gone and we probably won't see any until closer to Christmas, although it will be cooler. I live north of Buffalo so we are in the perimeter of the snow belt, south of Buffalo doesn't get the snow like we do. In fact, the dusting is already gone there. Wow! what a price! Love how you draped that throw on your chair! I'm with you Marty every room needs a little leopard/cheetah print! Always love a little animal. I consider it a neutral!! What a find!! 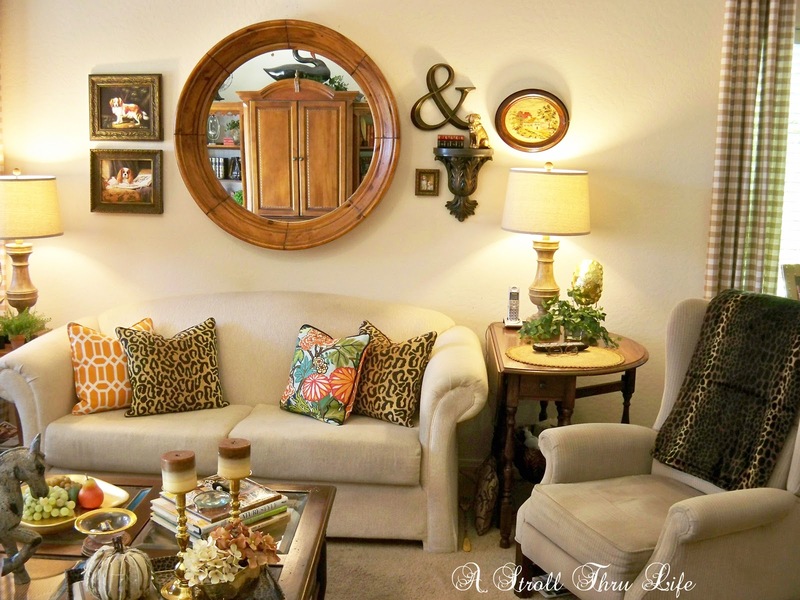 The room looks great and the new leopard throw fits right in with your other decor. Great extra touch! Yes, it's freezing here! Mississippi isn't usually this cold already...but a fire and snuggly throw like yours is just the ticket to warmth! Your room is beautiful, and the new throw blends in nicely! Such a great find! Looks perfect in your space! We have been cold here for a whole week...should finally warm up by the end of the week. Yay! I love the leopard, Marty-and everything else in your room too!!! :) It is 10 degrees in Minnesota today-I think it's time to make a trip to Walmart for some more throws!!!! I just love the throw and the light look you have going on in your home. So pretty!! Oh, what a beautiful living room you have Marty! 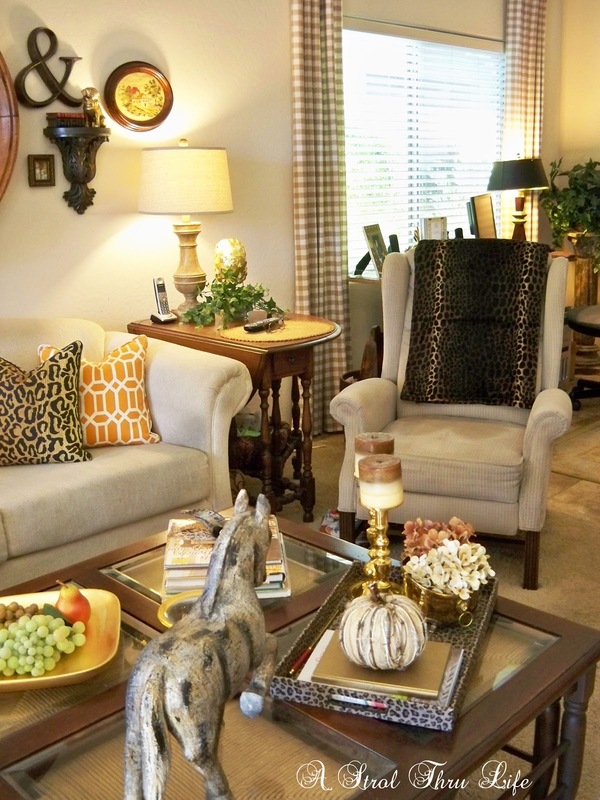 I love the leopard throw, I missed one at a store a while ago, now they don't have them! Very elegant my friend, love it! Thank you for your sweet visit, I appreciate it. See you later at the party.